Comedian Jay Leno put it best describing the election of 2000  who would have thought Al Gore would be more popular, and George Bush would finish ahead in college? Sadly for Al Gore, a presidential election really isn't a popularity contest. Despite winning over half a million more votes than his Republican rival, Gore was forced to endure the sight of George Bush being inaugurated as the 43rd president of the United States. That happened because the United States is a federal republic, not a democracy. 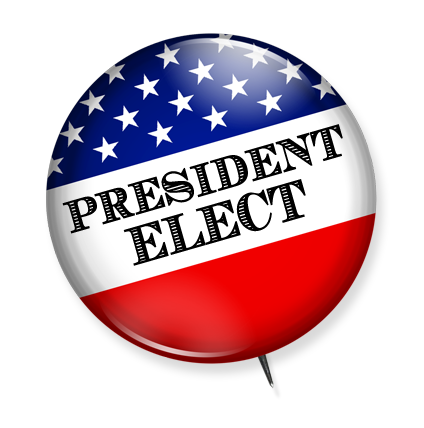 The system by which a president is chosen  the Electoral College  is biased in favor of the Republican Party. And recent demographic trends, reflected in the census figures just being released, will further entrench that bias. The census figures, which tend to favor the Republican Party by undercounting urban and minority populations, are almost uniformly bad news for the Democratic Party at the presidential, as well as congressional, level. Reapportionment of congressional districts means every representative gained or lost in each state is also a vote in the Electoral College gained or lost in that state. Of the states carried by Al Gore in the 2000 presidential election, New York and Pennsylvania will lose two of their Electors; Connecticut, Illinois, Michigan, and Wisconsin will lose one each. Only California gains an Elector, making a net loss of seven Electors. Conversely, while Indiana, Mississippi, Ohio, and Oklahoma among the states carried by George W. Bush lose one Elector each, Colorado, Nevada and North Carolina all gain one Elector, while Arizona, Florida, Georgia, and Texas gain two Electors apiece, a net gain of seven Electors. Accordingly, if Bush had won exactly the same states on 2000 census figures, he would have beaten Gore by 278 to 260 votes in the Electoral College, a majority of 18 votes, as opposed to the actual wafer-thin margin. If Gore had carried New Hampshire, which slipped away by less than 2% of the vote, in the existing electoral map, he would have won the election. Under the new figures he still would have lost. The census figures are the latest indication of the long-term decline in the political position of the Democratic Party. Throughout the second half of the Twentieth Century the heartland Democratic states of the Midwest and Northeast have consistently exported people  and voters  to the Republican South and West. This shifting balance of the population is reflected in the Electoral College. If, back in 1952, Democratic nominee Adlai Stevenson had won exactly the same states Al Gore did in 2000 he would have beaten Dwight Eisenhower by 272 votes to 259 in the Electoral College. Even as late as 1988, if Democrat Michael Dukakis had won the Gore states he would have beaten Bush senior by 271 votes to 267 in the Electoral College  an exact reversal of the Bush junior margin twelve years later. The Democratic Party is now faced with the unpleasant choice of continuing to fight for a declining liberal base, or tacking right to be competitive in the growth states and thereby encouraging further ultra-leftist third parties in the Nader mould. The demographic trends accentuate the inherent bias towards the Republican Party in the Electoral College. To illustrate this partisan imbalance, the following table shows the Democratic and Republican parties have fairly evenly divided the popular vote between them since World War II. Democratic candidates in presidential elections over the past half-century have won an average of 46.1% of the popular vote. Republican candidates have won an average of 49.1% over the same period. But Democratic candidates have won an average of only 39.2% of the votes in the Electoral College since World War II, compared to an average of 59.4% for the Republican Party. Eleven states (Alaska, Utah, Wyoming, Idaho, North Dakota, South Dakota, Nebraska, Kansas, Oklahoma, Indiana, and Virginia), now worth 62 Electors in the Electoral College, haven't voted for the Democratic Party ticket in a presidential election for 36 years  nine elections in a row. Another eight states (Montana, Colorado, Arizona, Mississippi, Alabama, South Carolina, and North Carolina), now worth 60 Electors in the Electoral College, have only voted Democratic once during that time. That's a base of 122 Electors for the Republican candidate going into the 2004 election campaign. It's effectively impossible for a Republican to get blown out in the Electoral College the way Democratic candidates were in 1972 and 1984. George Bush senior beat Michael Dukakis in 1988 by 7.8% of the popular vote and a margin of 426 to 111 votes in the Electoral College. Bill Clinton actually beat Bob Dole in 1996 by a slightly wider popular vote margin  8.7%  but that translated into a smaller majority in the Electoral College, 379 to 159. So, while Republicans have won more than three quarters of the Electoral College on six occasions since World War II, only Lyndon Johnson has achieved that feat for the Democratic Party. This is because Republican Electors are over-represented in the Electoral College. Gore easily carried California, which had a population of 29,760,021 on 1990 census figures, and 54 Electors in the Electoral College last year. The twelve Rocky Mountain and Great Plains states that Bush carried  Arizona, Colorado, Idaho, Kansas, Montana, Nebraska, Nevada, North Dakota, Oklahoma, South Dakota, Utah, Wyoming  collectively had a population of only 20,680,055, yet put together they had 60 Electors in the Electoral College last year (and, incidentally, they have 24 Senators between them to just two from California). Therefore, a vote in the Electoral College came much cheaper for Bush than for Gore. An Elector in California represented 551,111 voters in the Electoral College last year  an Elector in North Dakota represented only 212,933 voters. An Elector in New York represented 545,165 voters in the Electoral College last year  an Elector in Wyoming represented only 151,196 voters. And so on. So it shouldn't have come as a great surprise when the system delivered a conflicting result last year  it was bound to happen sooner or later. Bear in mind that there have been five elections since the last Electoral College misfire in 1888 that tiny shifts in the vote, sometimes just a few hundred people in a handful of states, could have delivered the presidency to the candidate finishing second in the popular vote. Democrat Woodrow Wilson was re-elected in 1916, defeating Republican Charles Evan Hughes by 591,385 popular votes, a margin of 3.1%. But his margin in the Electoral College was only 277 to 254. Wilson carried California by just 3,806 votes, a margin of only 0.34%. If Hughes had been able to convince just 2,000 more citizens of the Grizzly Bear state to swing their votes from Wilson he would have carried the Electoral College, 267 to 264, and the presidency. Democrat Harry Truman won his legendary upset in 1948 with a healthy majority, beating Republican Tom Dewey by 2,188,054 popular votes, a 4.5% margin. But his 303 to 189 margin in the Electoral College was a fragile one. Strom Thurmond won 38 southern Electors. Truman carried Ohio by only 7,107 votes, a 0.24% margin, and California by only 17,865 votes, a 0.44% margin  if both of those states had swung to Dewey, Truman would have led 253 to 239 in the Electoral College, and neither man would have held a majority of Electors. If Dewey had added Illinois, which he lost by 33,612 votes, or 0.85%, to his total he would have secured a bare majority in the Electoral College, 267 to 225. JFK's razor thin Democratic victory in 1960, by only 118,574 votes, 0.2% ahead of Republican Richard Nixon, could have easily crumbled in the Electoral College, where he clawed his way to a 303 to 219 majority. He won Hawaii in its first presidential election by only 115 votes, a microscopic 0.06% margin. Notoriously, he carried Illinois by only 8,858 votes, a hairs-breadth 0.18% margin. Missouri went Democratic by only 9,980 votes, a mere 0.52% margin. If those tiny margins had been overturned, Kennedy would have fallen behind Nixon in the Electoral College, 260 to 262. Because a bloc of 14 southern Electors were backing Harry Byrd, to win an outright majority, 278 to 244, Nixon would have had to carry New Jersey, which he lost by 22,091 votes, only 0.85% behind Kennedy. The only Republican, prior to Bush, to have won a tight election in the Twentieth Century was Richard Nixon in 1968. He finished 510,315 votes, 0.7% of the total, ahead of Democrat Hubert Humphrey in the popular vote. He won 301 votes in the Electoral College, to 191 for Humphrey and 46 for George Wallace, yet another southern spoiler. But it would have been much harder for Humphrey to build an Electoral College majority than a Republican who had finished a comparably close second in the popular vote. The closest-fought opportunities were Missouri (where Humphrey finished second by 20,488 votes, a losing margin of 1.13%), New Jersey (Humphrey 61,261 votes, or 2.13% behind), and Ohio (Humphrey 90,428 votes, or 2.28% behind). Had Humphrey overturned all those majorities, he and Nixon would be deadlocked in the Electoral College with 246 votes each. Both men would have been bereft of a majority, and Wallace would have thrown the election into the House. To win outright, Humphrey would have to overcome a Nixon majority in Illinois of 134,960 votes, a margin of 2.92%, to secure a 272 to 220 majority in the Electoral College. The closest election prior to last year was 1976. Again, Jimmy Carter, a Democrat, finished 1,682,970 popular votes ahead of Republican president Gerald Ford, a margin of 2.1%. But his majority in the Electoral College was only 297 to 240. Carter had to cling by his fingertips to victories in Ohio (by 11,116 votes, a margin of only 0.27%) and Wisconsin (by 35,245 votes, a 1.68% margin) to claim the presidency. If those states had shifted just slightly, Ford, who was appointed vice president, then succeeded to the presidency, would have extended his tenure in the White House with an Electoral College majority of 276 to 261 after being rejected by a majority of the voters. The outcome of election 2000 could have easily been even more perverse. Gore won Oregon by less than 8,000 votes, Wisconsin and Iowa by less than 4,000, and New Mexico by less than 500. Slight shifts would have given them to Bush, padding his margin in the Electoral College to 301 to 237, while still leaving Gore more than 500,000 votes ahead in the popular count. The democratic impulse is to correct that imbalance. Public opinion polls have shown Americans favored abolishing the Electoral College by majorities of 58% in 1967, 81% in 1968, 75% in 1981, and 61% in 1987. Polls taken immediately after the election showed large majorities still favored an amendment to the Constitution that would allow for popular election of the president. Interestingly, in a CNN/USA Today Gallup poll 77% of Gore voters favored such an amendment, but only 44% of Bush voters did so. Politicians are scrambling to seize the mood. Within days of her own election, Hillary Clinton said "I believe strongly that in a democracy, we should respect the will of the people and to me, that means it's time to do away with the Electoral College and move to the popular election of our president." Bi-partisan proposals are already going forward in Congress. But their chances are not good. There have been more proposals for Constitutional amendments on reforming or eliminating the Electoral College than on any other subject, more than 700 over the past 200 years, but none have been passed by Congress. In response to Senator Clinton, Republican Senator Mitch McConnell argued "If we did away with the Electoral College, an awful lot of states would never get a visit from a presidential candidate." (Of course, an awful lot of states never get a visit from a presidential candidate now  New York, for example). The prospect of reforming the Electoral College goes to the heart of the federal structure of the United States. Under the most common method for amending the Constitution, an amendment must be proposed by a two-thirds majority in both houses of Congress and then ratified by three-quarters of the states. And that's where the partisan fun begins, because the state legislatures are very aware of the fact that the Electoral College provides a partisan advantage for the Republican Party. The very states which have the most to lose from the abolition of the Electoral College  Wyoming, North Dakota, Montana, Utah, all the thinly populated states which stretch across the Great Plains and Rocky Mountains  are the very states which provide the Republican Party with its bedrock support. It was the thin states that gave Bush the presidency, and it was those states that the federal system was designed to protect. It is the pervasive fear throughout the thin states that if the president were chosen by direct election, whatever influence they retain through their disproportionate strength in the Electoral College would disappear, swamped beneath the massive populations of the mega-states. And it is the thin states that make it so difficult to get the required three-quarters majority necessary to ratify an amendment to the Constitution. The thin states killed the Equal Rights Amendment, even though polls consistently showed a popular majority supported that proposal becoming law. Ironically, they could again use their disproportionate weight, compared to population, to kill an amendment intended to better represent the popular will. It will take more than just one rogue election to galvanize any change to the system. And while Democrats continue to dominate the major states while losing the thin ones we run the risk of delivering a tainted mandate to future presidents. Simon Sheppard is a financial journalist based in New York. He is a Master of Arts graduate in political science and a published author of political history.